Simply register your attendance online here - for your chance to attend the exclusive event and be included in the prize draw. There will be one winner chosen at each participating dealership to win a pair of tickets to the 2016 British Superbike Championship. There are also four ‘Golden Tickets’ across the network up for grabs which give the lucky winners special access to the JG Speedfit BSB garage, the official Kawasaki BSB team, at either Knockhill, Snetterton, Silverstone or Cadwell Park. All the winners will be announced at the event and drawn from those who pre-register to attend the launch event. Taking place at Marriott Motorcycles Ltd, this evening is your chance to get up close to the 2016 Kawasaki range, arrange a test ride or put down a deposit on the bike of your dreams. Find out more information on the K-Options finance deals and how you could ride away on a ‘green’ machine for less than you may think. There’s an exclusive introductory launch rate of 5.9% on the popular K-Options PCP finance plan on the ZX-10R if sold and registered by 31 March 2016 too. Attendees at the launch event can pick up a pair of 3D goggles from the dealership to experience the lap of Portimao, Portugal, aboard the ZX-10R with World Superbike Champion, Jonathan Rea, in all it’s 3D glory too thanks to the Ninja ZX-10R App – available on both the iOS App Store and the Google Play Store as a free download. 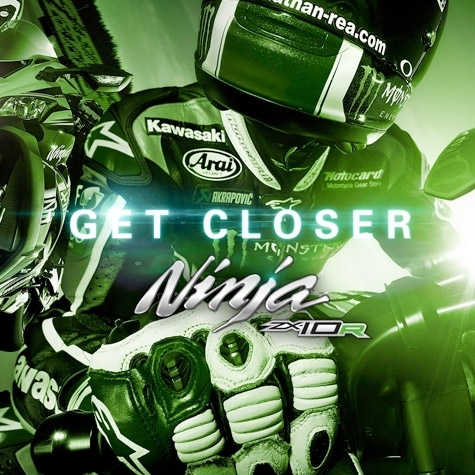 The App also includes the 2016 Ninja ZX-10R official action and studio promotional videos, technical specifications of Kawasaki litre class Supersport machine plus a specification page and a gallery of images.